QSV is dedicated to promoting the Arts and Humanities in society. Our Return To Glory: A Travel Guide For African Americans Returning to Roots is one step in our writing endeavors. QSV intends to collaborate with our partners and other related organizations of Arts and Culture to produce educational materials for QSV children and young adults for the benefit of humanity. Partnerships is all about resources and QSV believes that with unity we can do much to educate others. Mahaz Niass of RBS Association has joined with QSV with RBS artists for a collaborated event highlighting images of the vast African Motherland. RBS Crew focuses and specializes on many different types of socially, political and cultural unifying pieces of artistic expression, role model activists and pioneers whom are legends of peace, social justice and honorary humanitarians. The upcoming Exhibition The Pan African Arts and Culture Exhibition will feature women and children of Africa. The aim is to create and promote African and African-Caribbean culture and arts for the benefit of humanity, African communities, and to liberate the African people from social-cultural conditions which impede their development. We seek to advance, nourish the self esteem and maintain the sense and will for progress, social welfare and well being of multi-diverse citizens in the Motherland and everywhere. The exhibition is part of a worldwide intellectual movement that aims to educate, encourage and strengthen bonds of solidarity between all people of African descent. This right action is vital to us economically, socially, and culturally and seeks to unify people of African decent. Our history is intertwined in a common blessed destiny. 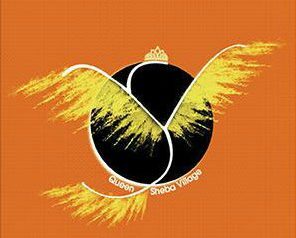 “Mother Africa We Are” Community Village. A glismpe of 2018 The Pan African Arts and Culture Exhibition. The life and culture of the Himba tribe is fascinating and rich. Artist Mahaz A Niasse brings out the best of these amazing people with the stroke of a paint brush highlighting everyday living and rituals untouched in the 21st century. Bravo! We are so honored, Thank you!